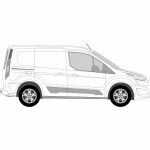 Responsible for maybe the most famous van of them all, the Transit, Ford manufactures a range of vans and other commercial vehicles. 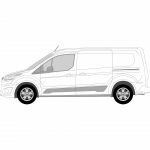 Own a business that fits glass for Ford vans? 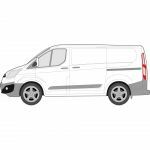 Whether it’s replacing broken windows or doing van conversions, Van Glass can help. Van Glass supplies high-quality aftermarket vehicle glass to make sure your Ford customers get the best. To order yours, have a look below at the Ford models we supply glass f or. 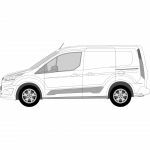 If you need help get in touch or give us a call on 01228 810 018 to find out more about our Ford van glass. 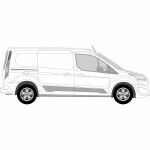 Need Ford van glass as quickly as possible? 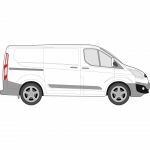 Whether it’s a replacement window or for a van conversion, we can help. Order before 17.30pm Monday - Thursday and you’ll get your Ford van glass the very next day (UK mainland only). Unfortunately, Van Glass doesn’t fit any glass or windows. However, our Carlisle-based parent company tradewindscreens.co.uk does. Head to their website for more information. Can’t find the Ford van glass you’re looking for? We could still help. Fill out our contact form or call us on 01228 810 018 and one of our friendly staff will be more than happy to help.